Our ecological footprint exceeds the Earth’s capacity to regenerate. A number of useful indicators and frameworks have been developed to measure the ecological impact that humanity and its dominant economic system with its patterns of production, consumption and waste-disposal are having on the planet and its ecosystems. 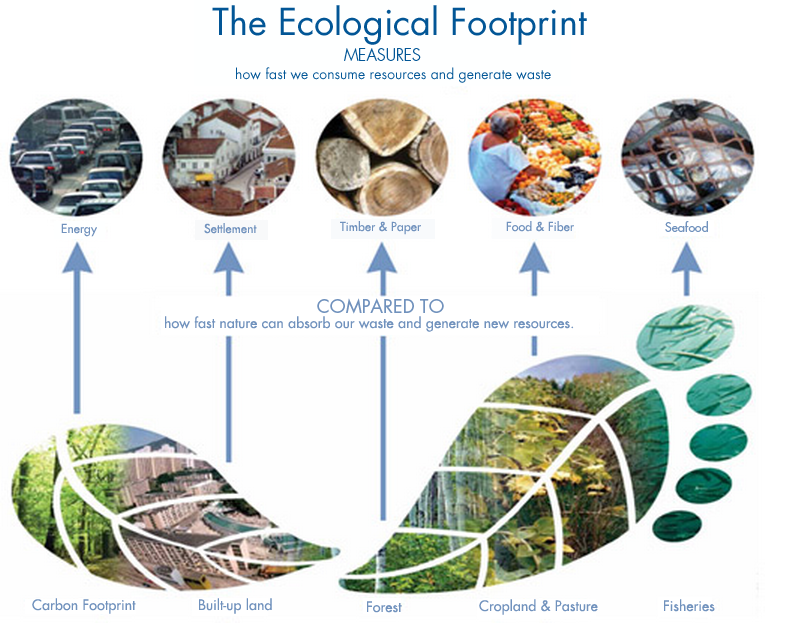 The measure and methodology for ecological footprinting translates the resource use and the generation of waste of a given population (eg: community, city, or nation) into the common denominator of bio-productive land per person, measured in Global Hectares (Gha), that are needed to provide these resources and absorb those wastes. Much of the educational power of this tool is its capacity to compare between how much bio-productive land exists on the planet with how much bio-productive land would be needed to sustain current levels of consumption. In addition it also helps us to highlight the stark inequalities in ecological impact that exists between different countries. 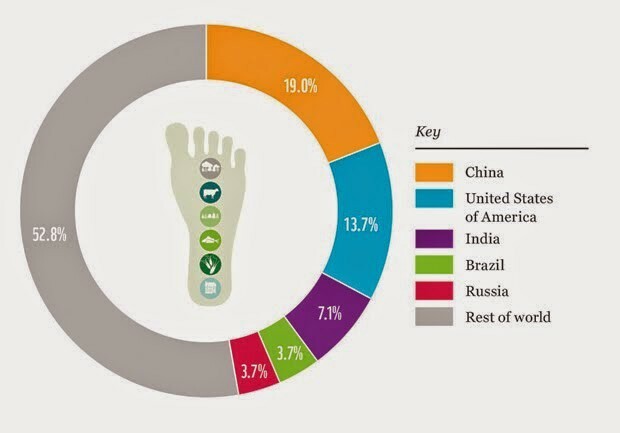 Ecological Footprinting is basically an accounting tool that compares how much nature we have and how much nature we use. He are currently using about 50% more ecological resources than nature is regenerating naturally every year. This point of spending more than is coming in every year — or living of the capital rather than the interest — was reached by humanity in the late-1960s. It is called Ecological Overshoot and every year since Earth Overshoot Day — the day when humanity as a whole has already used up the bio-productivity of Earth in that year — is a little earlier. Here is a little video (3:30 min.) to explain the concepts of ecological overshoot and footprint. The first Earth Overshoot Day (also referred to as Ecological Debt Day) fell on December 31st of 1968 and by the mid-1970s it was already reached at the end of November. Rapidly rising population numbers and rates of material and energy consumption, along with the accelerating erosion of ecosystems everywhere have resulted in the decline of the planet’s annual ‘bioproductivity’ and a reduction in ecosystems services each year since. Thus, the day on which we overstep the limits of Earth’s annual productivity is occurring earlier and earlier. By 1995 it was on October 10th, in 2005 we reached overshoot by September 3rd, in 2013 on August 20th, and in 2015 on August 13th, and by 2017 on August 2nd! While agricultural inputs (fossil fuel based fertilizers), irrigation and technological advances have artificially raised the bioproductivity of agricultural land, the continued degradation of ecosystems everywhere leads to a drop in planetary bioproductivity every year. At the same time — the number of humans keeps rising, the average — or fair share — of bioproductive global hectares (gha) available per person has dropped from 3.2 to 1.7 gha from the early 1960s to today. The global average ecological footprint per person is 2.7gha and therefore almost 50% more than would be sustainable (WWF, 2014). Averages are deceiving, as you can see in the graphic above, the five countries with the highest demand on the world’s bioproductivity and resources are consuming nearly half, leaving the other half to be shared among the remaining 190+ nations. We live in a world with extreme economic and ecological inequality! Metaphorically speaking, if we think of global ecosystems as an apple tree, we can say that globally, until the late 1960s, we limited ourselves to harvesting the apple crop. 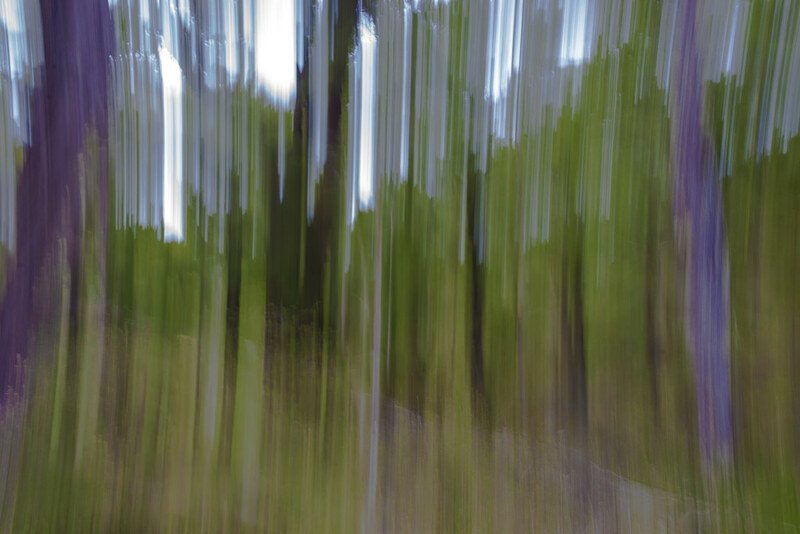 Since 1968, we have started to eat into the wood of the tree, diminishing the crop that the tree is able to yield. In this way, we are eroding the habitats of other species as well as the bequest that we leave to future generations. Finding an answer to this challenge through a shift away from fossil fuel and materials sources — a strategy that is moving towards the top of the agenda for today’s political and economic elites — will hardly address the core problem. Our numbers and the levels at which we are consuming are eating into the planet’s natural capital. WWF’s Living Planet Index, that tracks populations of 3,038 vertebrate species — fish, amphibians, reptiles, birds, mammals — from all around the world, has found that the Index has dropped by 52% between 1970 and 2010 (WWF, 2014, p.16). During only 40 years of unbridled consumption and exploitative economics the planet has lost natural capital, bio-diversity and resilience at a catastrophic rate. Meanwhile, regular reports on fish stocks, the health of soils, rivers and lakes, depletion of aquifers, and rates of deforestation leave us in no doubt that the ecosystems on which we are dependent are under serious stress (see Brown 2008). 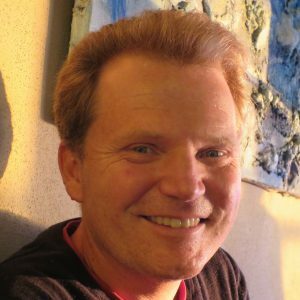 Lester Brown’s Earth Policy Institute has a data centre that publishes up-to-date research on these developments. Another way of looking at the ecological impact of our current industrial growth society is the planetary boundaries framework that as first developed by Johann Rockström (video, 4 min. ), director of the Stockholm Resilience Centre, and an international group of researchers in 2009 (download paper). It has been revised in 2015 and the graphic above the heading illustrates the levels to which we are already outside ‘humanity’s safe operating space’ on planet Earth. 9. Introduction of novel entities (e.g. organic pollutants, radioactive materials, nanomaterials, and micro-plastics). We — as humanity — have already crossed four of these nine boundaries (climate change, loss of biosphere integrity, land systems change, and altered biogeochemical cycles). This transgression is directly linked to the cumulative effects of human activity on the planetary system and many of the processes that lead us to crossing these boundaries are linked to our systems of resource exploitation, production and consumption. To address this issue we need a fundamental redesign of how we think about and do economics on a finite and increasingly fragile planet. NOTE: this is an (edited) excerpt from the Economic Design Dimension of Gaia Education’s online course in Design for Sustainability. The first version of this dimension was written in 2008 by my friend Jonathan Dawson, now Head of Economics of Transition at Schumacher College. In 2015–2016, I revised the Design for Sustainability course substantially and rewrote this dimension with more up-to-date information and the research that I had done for my book Designing Regenerative Cultures. The next installment of the Economic Design Dimension starts on March 19th, 2018 and runs for 8 weeks online. You can join the Design for Sustainability course at any point during the year.